Oh, hey there Tuesday post! So it kind of dawned on me over the weekend that I could probably do three posts a week. I'm thinking Tuesdays are going to be unboxings/recaps (because I have enough subscription boxes to cover three weeks!) and then we can have more original content on Thursdays and Sundays. I'm leaning toward Thursdays being beauty/lifestyle and Sundays being geeky stuff. Let me know what you guys think of that! 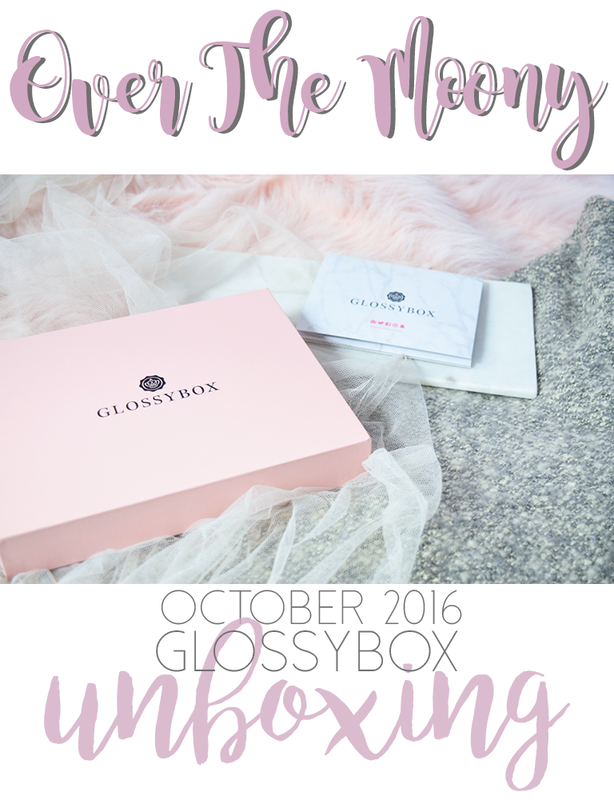 For today's unboxing I have my Glossybox for October! I have been such a fan of Glossybox since I switched from Birchbox and ipsy. I was subscribed to them both but neither was really doing much for me anymore. Birchbox I felt like didn't really give much makeup anymore and got a little repetitive, and ipsy was getting a little juvenile for my ~super sophisticated~ tastes. I got an e-mail from Glossybox about the best deal of my life or something, and in that e-mail was an offer to get Glossybox for $14/month, which was a good deal considering they're usually $21/month. I feel like this is quite a bit higher than the average beauty box but considering that there are a bunch more full-sized products in these boxes, I don't think it's a bad deal at all! Plus the boxes they use are really nice quality and are perfect for using as gift boxes, and they even have some really gorgeous keepsake boxes, like last month's box designed by Antonio Soares. I feel like around this time of year they must commission an awesome artist because my first Glossybox around this time last year had some super adorable artwork, too. Having thoroughly enjoyed all of our summer adventures, ,we are now taking the time to recuperate! Fall is upon us, and before the holiday's lovingly tire us out all over again, we'll use the month of October wisely to unwind. This means changing up our routines for the colder temperatures, pampering our skin, and having a staycation of sorts! So that you may join us, we've included skin-loving treats with a delicious pop of color into your iconic pink box. Both of these products appear to be full-sized, which is always fantastic. I'm excited to give the OGX product a try! 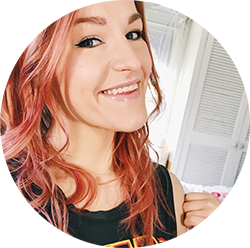 I have fine, limp hair and I'm always trying to find that one miracle product that is going to make my hair more voluminous without making it greasy. Fingers crossed! I love getting samples of the crazy high-end stuff that I would never buy because I'm always so curious about whether they're actually that good. The face oil goes for $73 for 0.5 oz., which seems pricey to me! I mean, an oil will last for a while but still! Not spending that kind of money on it, but I will happily live vicariously through my little luxury sample. And I am always happy to have more masks! This lip and cheek color is so pretty and perfect for fall! Do you get Glossybox or another beauty subscription box? Let me know what you got this month in the comments below!